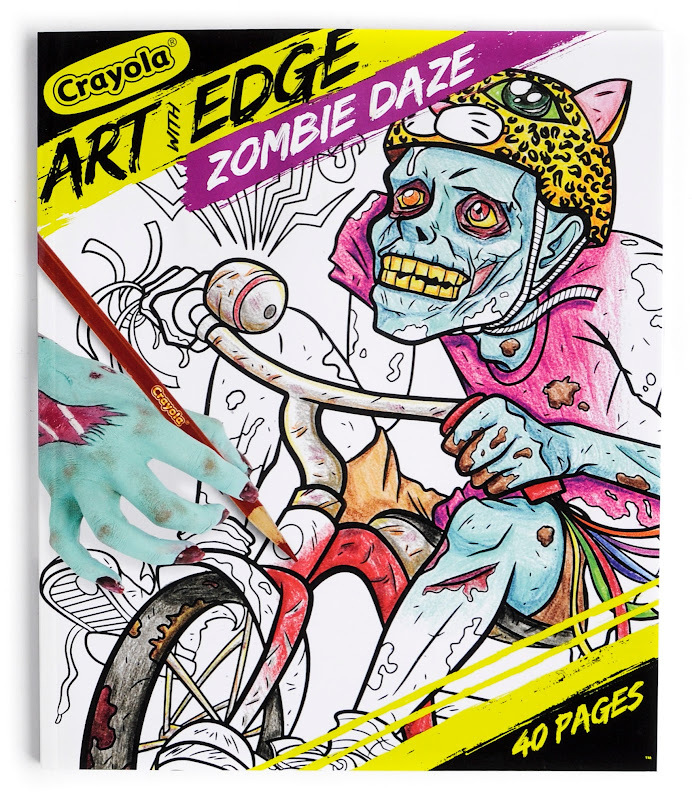 I am so excited to share with you all the information about the Art With Edge Coloring Books. 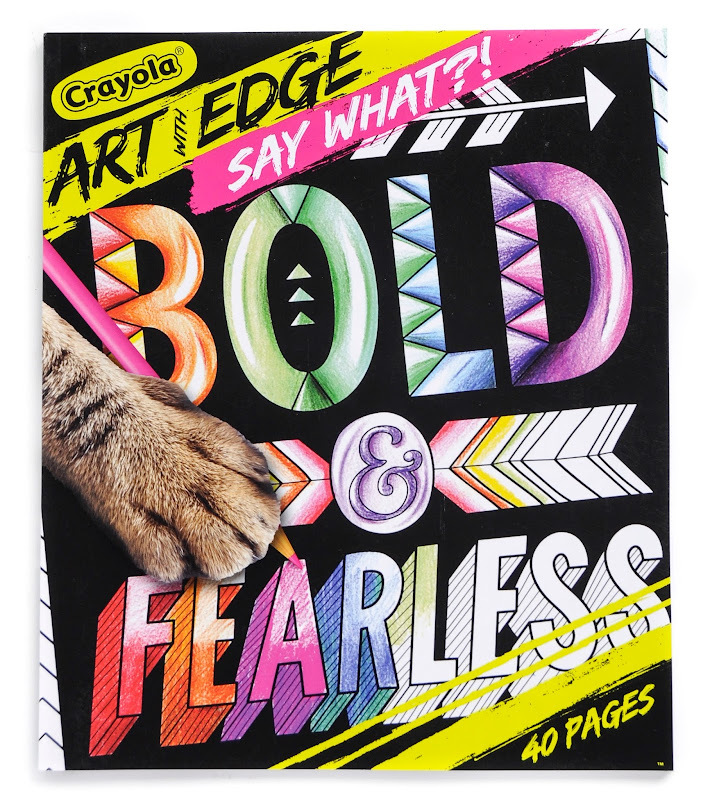 I received these books and markers from Crayola in exchange for an honest review. 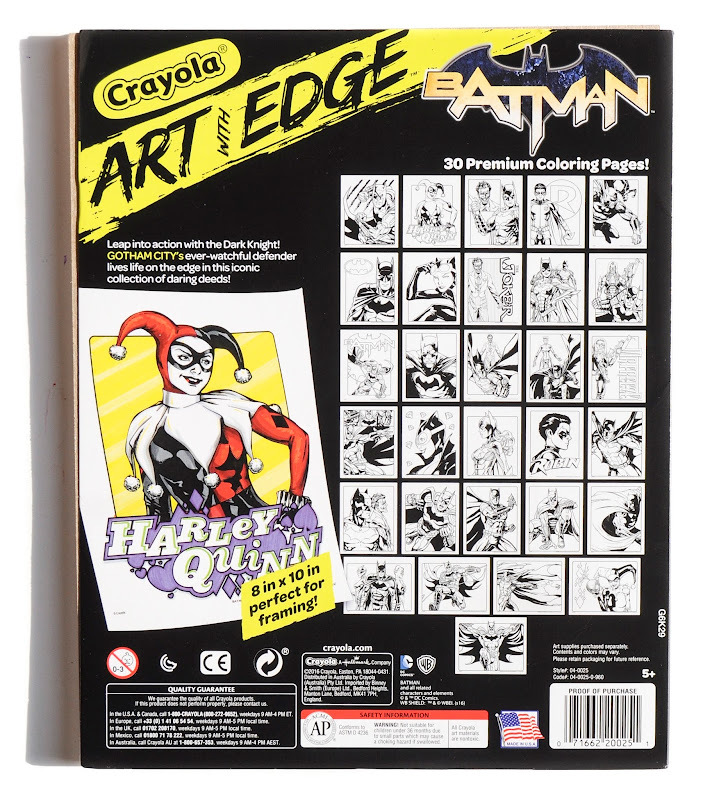 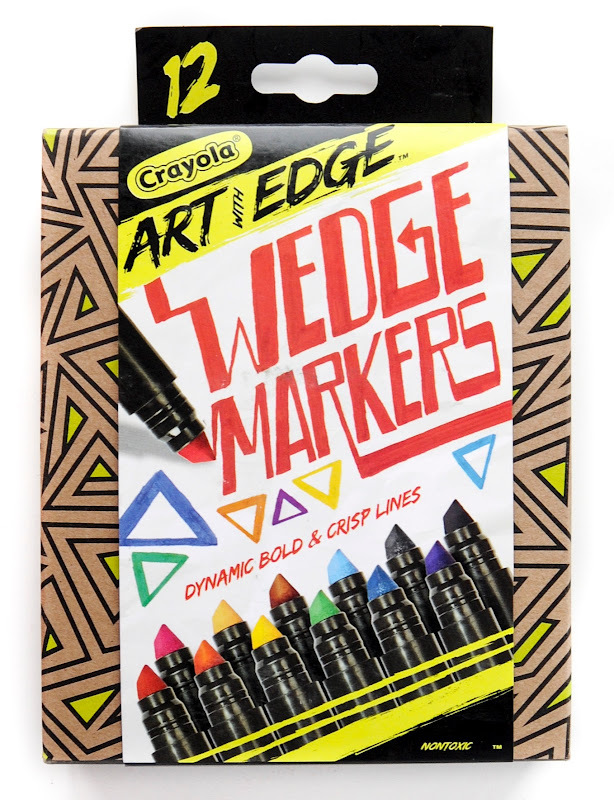 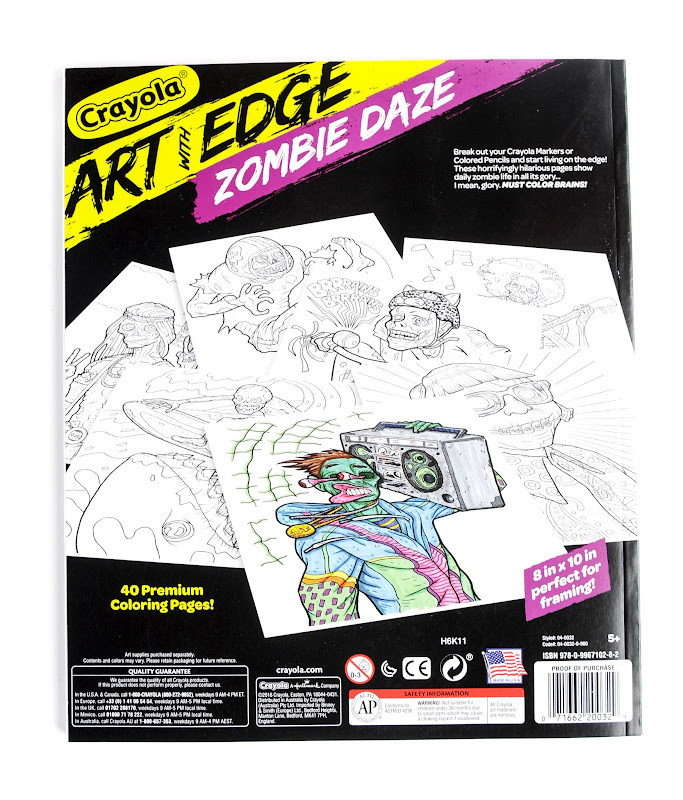 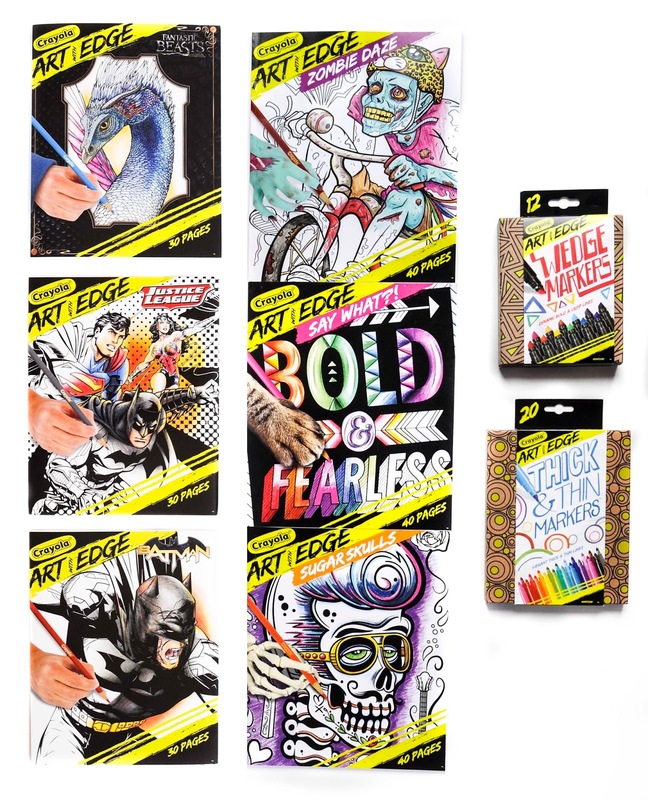 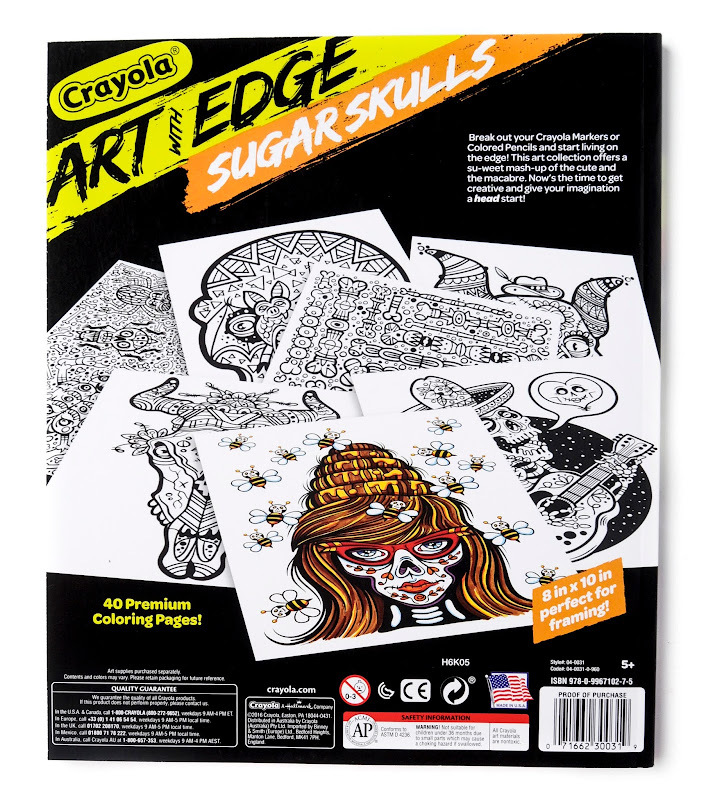 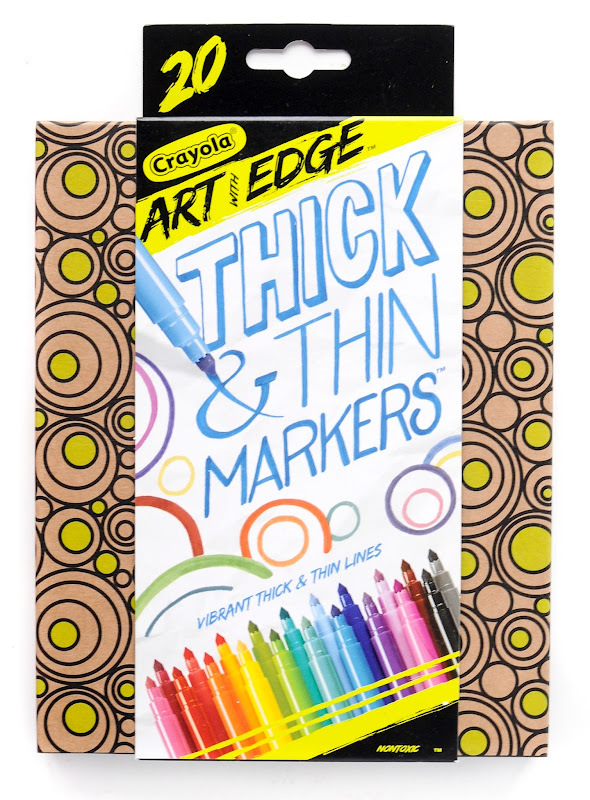 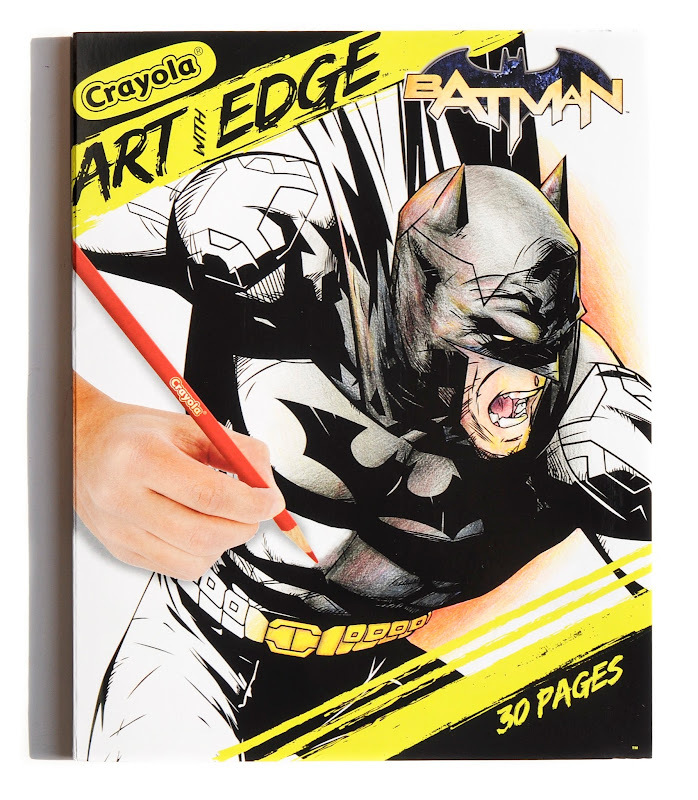 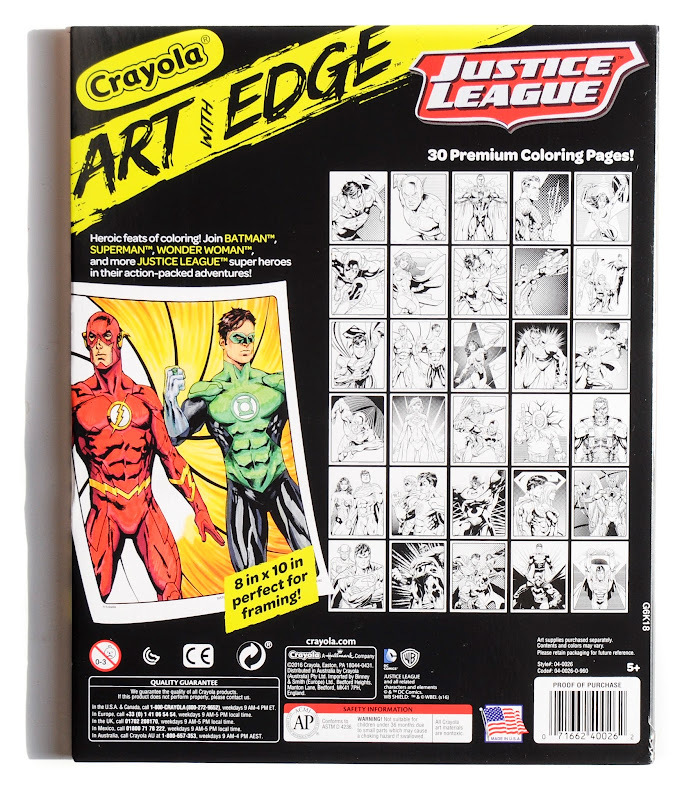 Art With Edge includes: coloring books, loose coloring pages, markers and colored pencils. 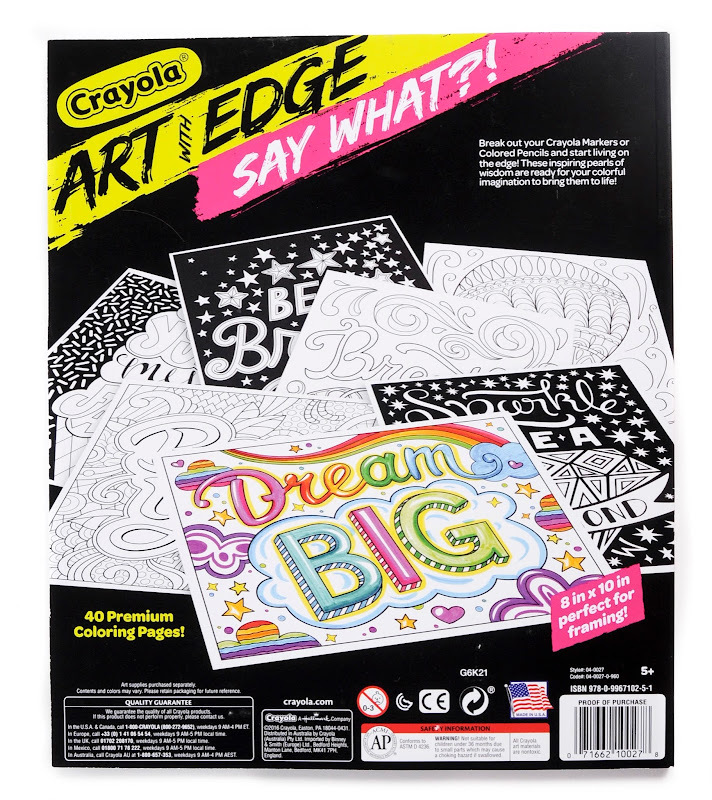 They are aimed at the tween and teen market. 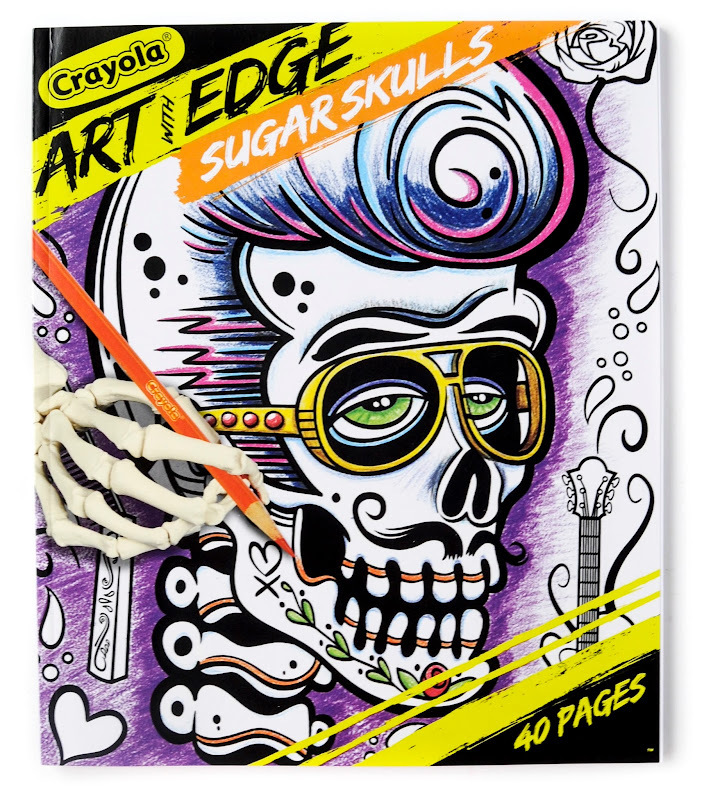 There is a lot of variety in the books making them appeal to many different people, super heroes, fantastic beast, zombies, skulls, and fun sayings. 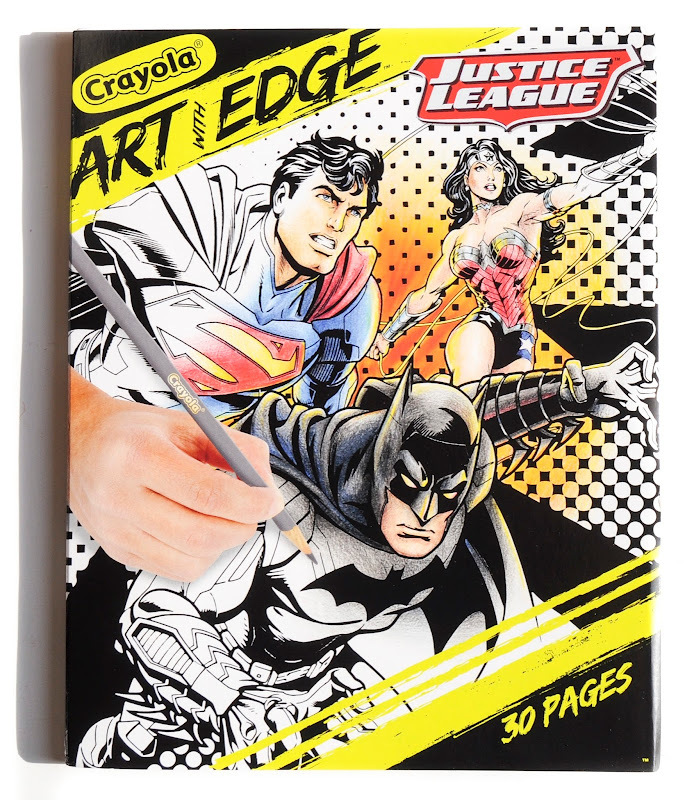 My kids (4 and 6) and I really liked the books and had so much fun coloring them. 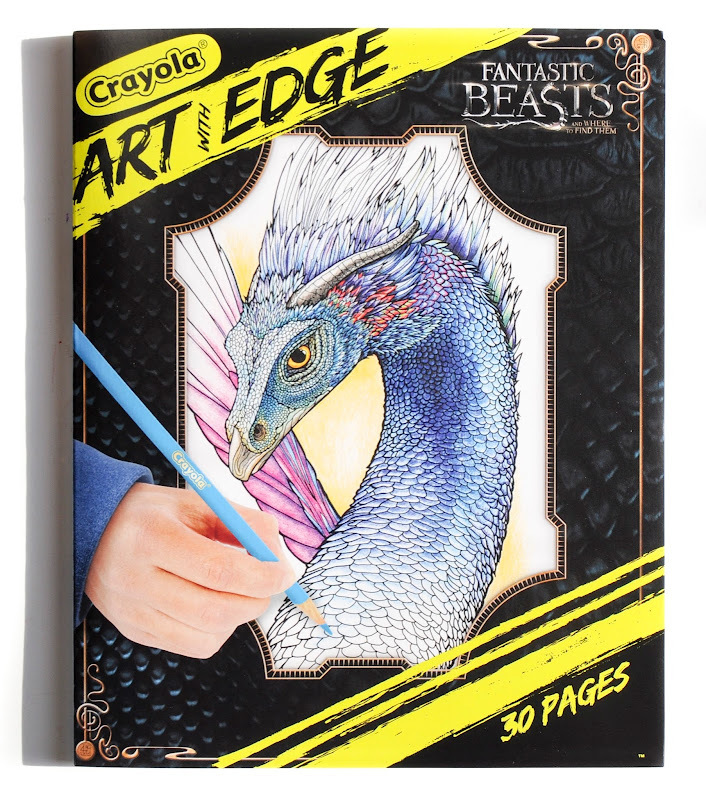 To see our review of the books click here. 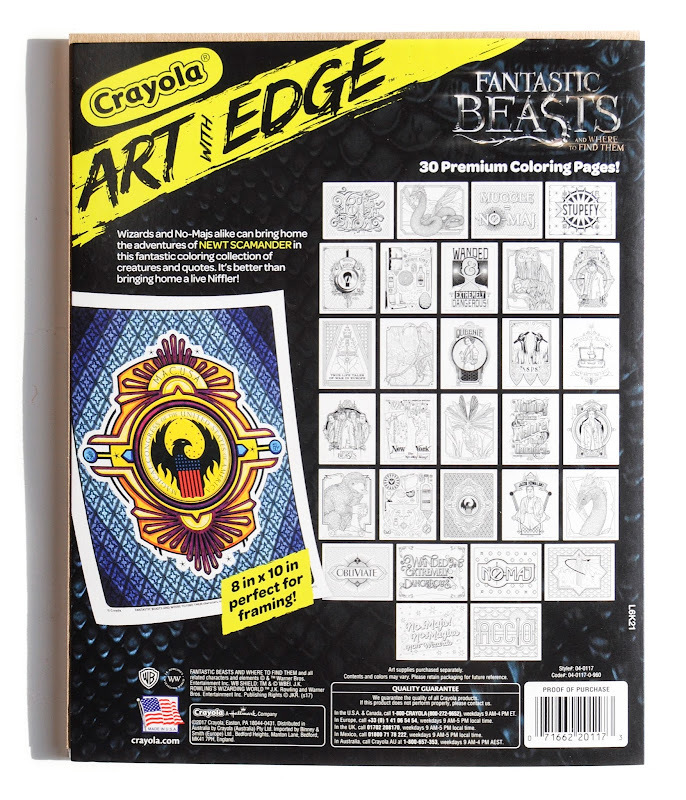 Here are the pages I colored from the Say What?, Fantastic Beasts, and Justice League books. 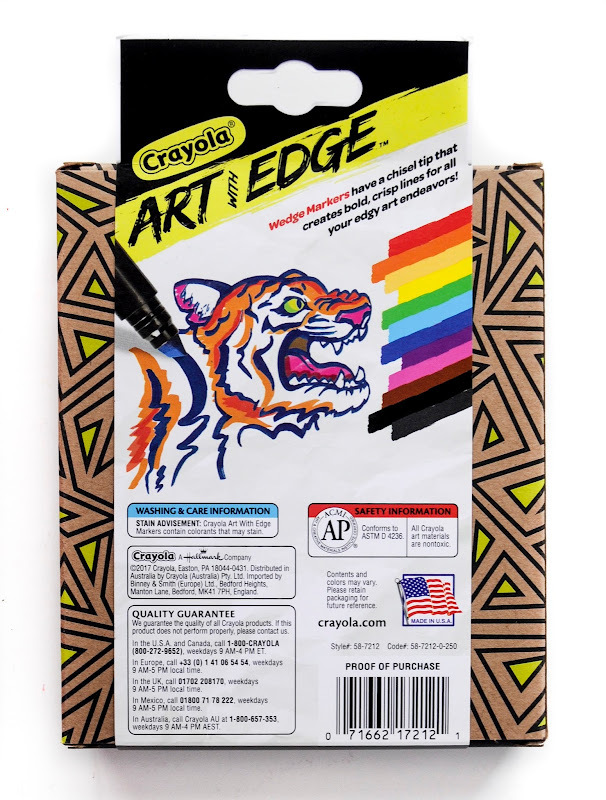 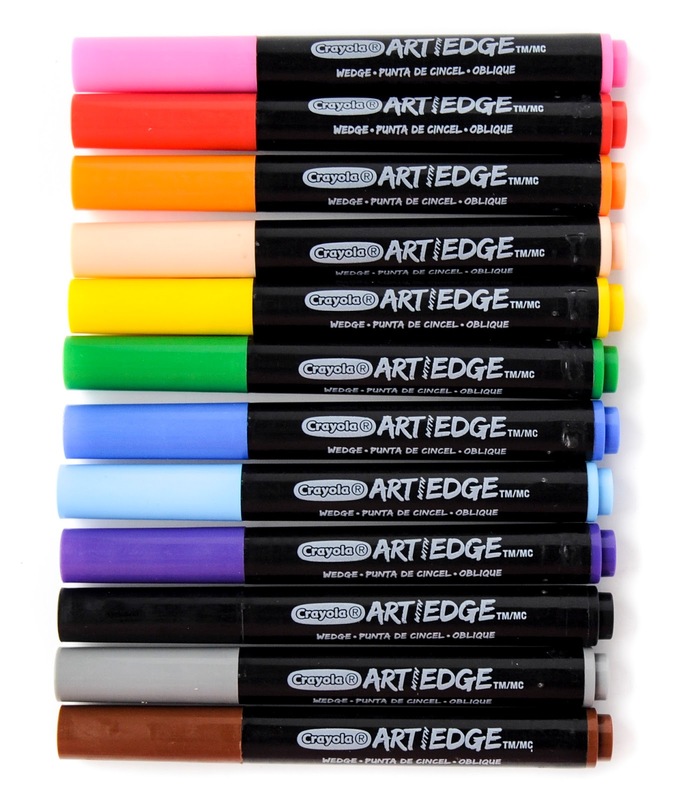 The markers I was given are black with the Art with Edge Logo on them. 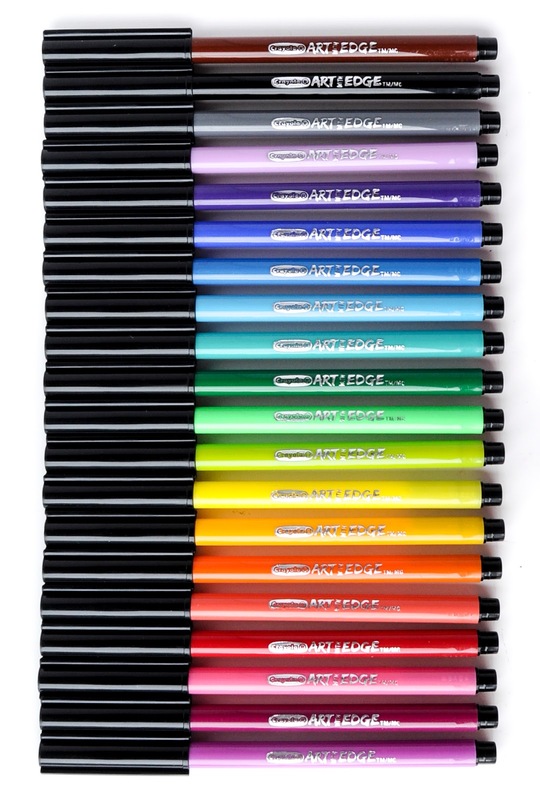 What's Inside the Box: Colors not named :( Maybe one day they will name all their markers. 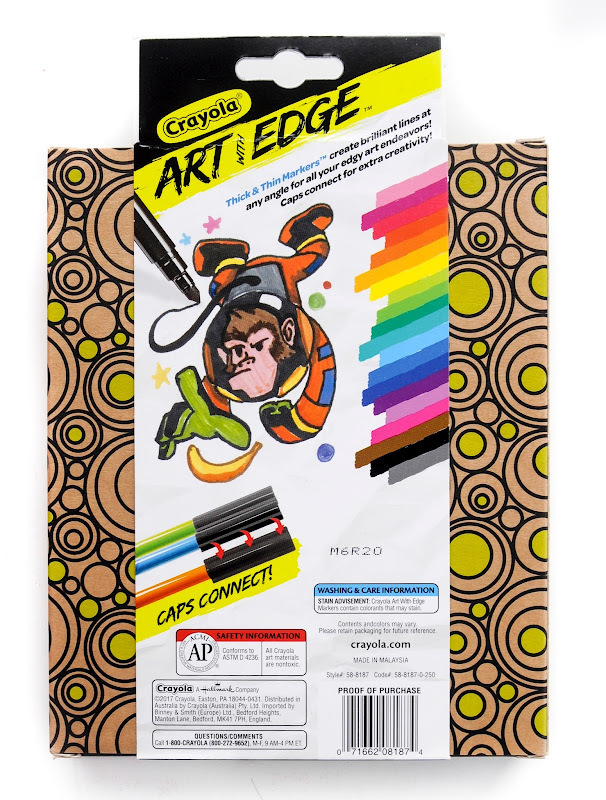 2016 Crayola Art With Edge Coloring Book-Say What?